A resident of Nevada since 1963, Dr. Herve Bezard received his Doctor of Medicine (M.D.) degree from the University of Nevada, Reno School of Medicine in 1985. His internship and residency were completed at the Good Samaritan Hospital in Phoenix, Arizona, during which time he served as Chief Resident. Following this, Dr. Bezard became licensed and certified in Family Practice Medicine in the state of Nevada in 1988. He was then invited to join Family Doctors of Boulder City, where he has pursued his commitment to high quality patient care. Dr. Bezard is trained and certified to perform both EGD’s and colonoscopies. Since that time, Dr. Bezard has served the community in various capacities. 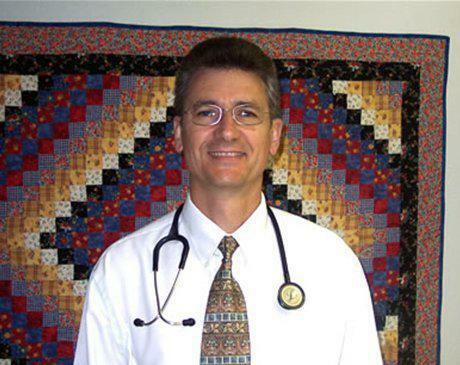 He has been an Associate Clinical Professor for the UNR School of Medicine since 1988. Medical students and residents receive hands-on training by Dr. Bezard in our office. He has also served as Chief of Staff of Boulder City Hospital and as a member of its Board of Trustees. Dr. Bezard also maintains active enrollment in related professional organizations including the American Academy of Family Physicians, the Nevada Academy of Family Physicians, the American Medical Association, the Nevada State Medical Association, and the Clark County Medical Society. In 2001, the Nevada Academy of Family Physicians recognized Dr. Bezard as “Family Doctor of the Year.” He has also been honored by the Nevada Tobacco Coalition for his work with its “Tar Wars” tobacco-use cessation program. In his spare time, Dr. Bezard enjoys staying active with water and snow skiing, driving high performance cars, and caring for his family’s animals at the Boulder City Corrals. He is fluent in French and is always happy to accomodate French-speaking patients.